Our friend Tom Interval of Houdini Museum has done some fantastic detective work on Houdini's little-known country home in North Stamford, Connecticut. 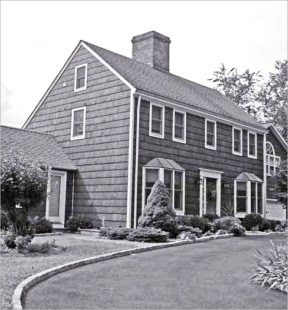 Tom has discovered the exact location as 286 Webb’s Hill Road and has uncovered an article about the house (that we all missed) in The Historic Neighborhood Preservation Program's Fall 2011 newsletter. You can read that article and all of Tom's findings by clicking over to Houdini Museum. Question I have is why did they sell the home aft having it such a short time period? That's a good question, Anonymous. If I discover the answer, I'll update the blog and post a comment here. John, thanks again for including this link! I'll let you know if there are any significant updates. My pleasure. This is great work! Thank you Tom and (yet again) John for another great story. I was curious about that house on Webb's Hill (or is that Weiss Hill?). It is strange that Houdini unloaded it after a year or so. Perhaps he concluded that the house was an unnecessary impulse purchase and decided the sale money was better spent elsewhere. I'm not 100% certain, but didn't the actor Robert Vaughn own the house for a time? Indeed, some very good info here. I'll be linking to this when we are clear of all the Halloween whatnot.